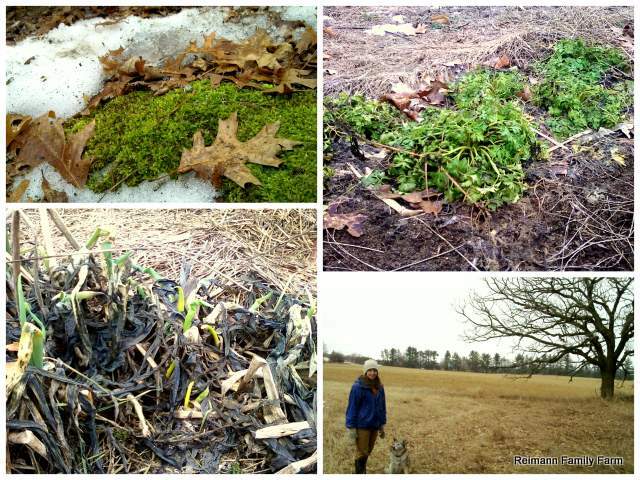 March – maple sap and spring green! 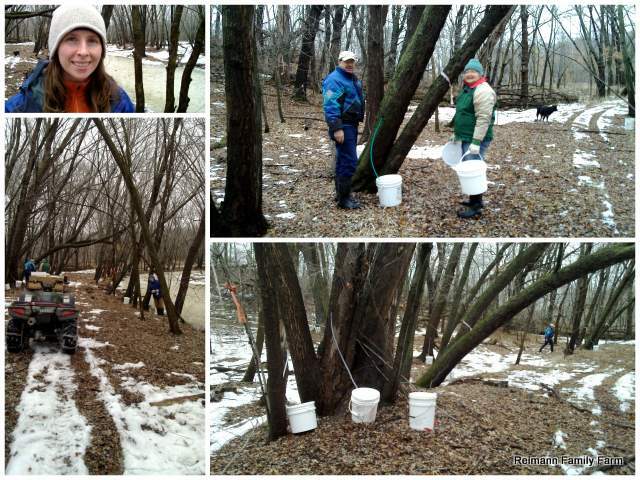 While we have all enjoyed the sudden return of warm sunny days, the quick thaw means a shorter maple syruping season. Around here we are still hoping for more days with highs of 40 and lows of 20. Top left is Chris, top right is Darwin and Carol. The vibrant green of young leaves -- delicate yet amazingly resilient! We have enjoyed our first bites of fresh parsley (top right), and are excited to see the perennial bunching onions starting to poke through with new growth (bottom left). Bottom right, Chris walks next to the Big Oak with Luna, our beekeeper's dog. Just a few weeks ago we walked the same area with snow up to our knees! « February Update – Farm Conference, etc.